My mom reads the Chinese newspaper religiously. Even when she is away on vacation, we have to pick up paper so she won't miss any issues. As such, she often scans the gazillion restaurant advertisements for potential family eats. 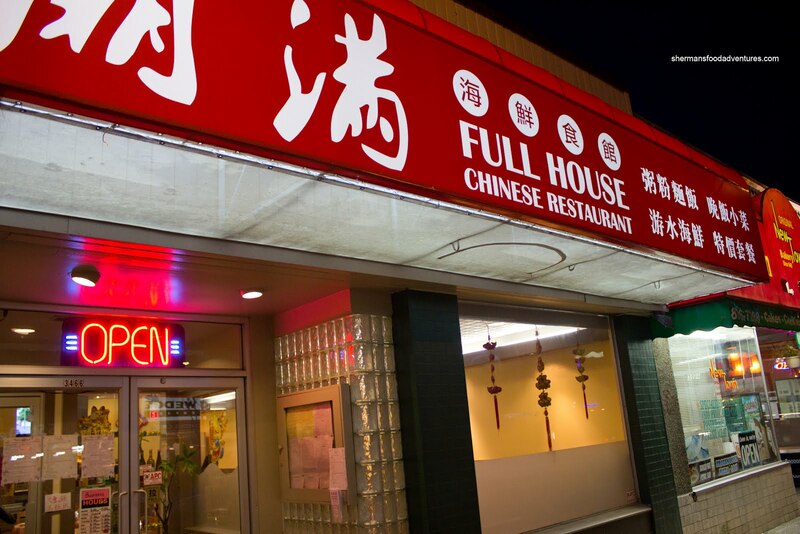 This time around, she spotted Full House Chinese which had just opened up on Cambie next to New Town Bakery. Some of the set meals (at a discounted price) caught her fancy and suggested we give it try. You know me, I would rarely pass up an eating opportunity, let alone when someone else is paying. However, it was a game night for the Canucks. Food or hockey on TV? Wow, that' s like choosing between bacon and tripe. Both are so good! For me at least... Well, not to fear, they actually had the game on at the restaurant to both my surprise and delight. tast e. In terms of the crab meat, we really needed to look hard to find any. 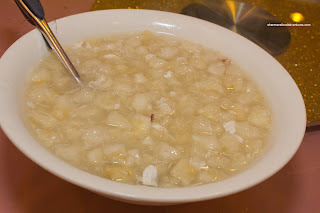 But the worst thing of all with the soup was the considerable amount of MSG. The darn soup was so flavourful, it was a dead giveaway that they used too much sodium. 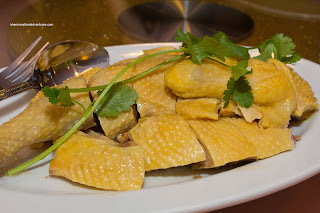 Next was the Chef's Special Free Range Chicken which was not bad. There was a decent amount of meat for a generally lean type of chicken. As expected, the meat was on the chewy side, yet not so much that it wasn't easily eaten. The skin was gelatin-like, however, there wasn't any gelatin underneath it. There was a drizzle of wok salt oil on top for flavour and we did appreciate the grated ginger and green onion on the side (which was mostly ginger). The item we most looked forward to was the Lobster and Vermicelli with Ginger and Green Onion Hot Pot. 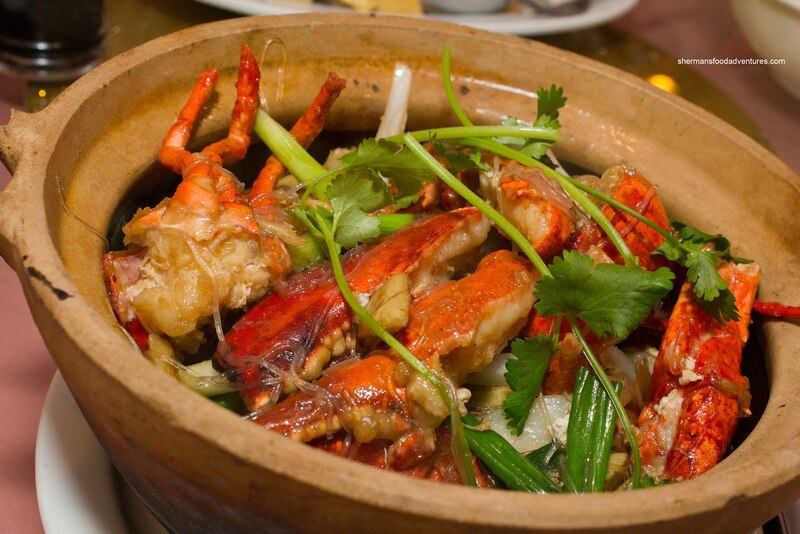 The whole thing was presented in a large and deep hot pot which housed a modest-sized lobster and a lot of flavourful vermicelli. Although on the drier side, I liked the vermicelli since it was not soaked in sauce and still retained a nice chewiness. It was also seasoned just enough so it didn't suffer the fate of the other dishes. Our extra dish was the Fish and Tofu Hot Pot which arrived sizzling hot. It certainly looked good with large pieces of fried basa and tofu. 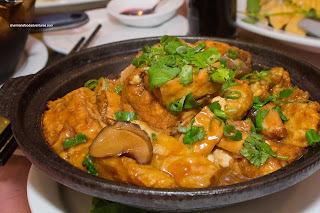 It had a rich colour and the sauce appeared thick and flavourful. And yes, the sauce was flavourful... with a considerable amount of salt and MSG. When I took a bite into the fish, it was moist and flaky, yet wow... the sodium stung my tongue. I have a high tolerance for salt, but this was far too much. It was too bad really because the fish was cooked right and so was the silky tofu. 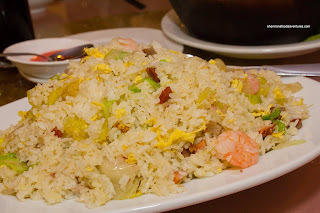 Included in the set meal was the Shrimp & BBQ Pork Fried Rice, which we requested to be prepared without green onions. I must give them props for doing so, which they substituted lettuce instead. As for the rice itself, that was a different matter. It was clumpy and many of the grains were broken. Furthermore, it was slightly bland (which was good since everything else was salty). There was no absence of lean BBQ pork and shrimp which made up for the subpar rice. 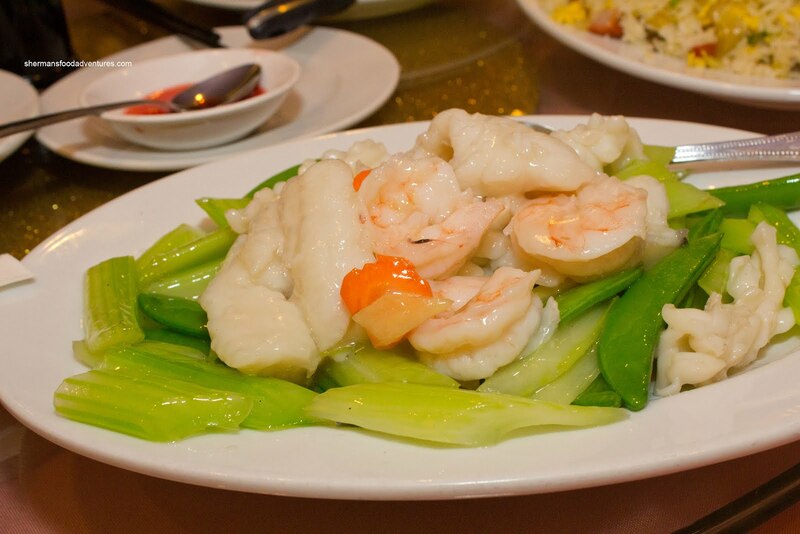 With the Sauteed 3 Kinds of Seafood & Veggies, the MSG/salt monster reared its ugly head once more. When I put one of the basa filets in my mouth, the sodium literally killed my tastebuds. I couldn't taste anything else. Was there a sale on MSG and salt or something? As for the positives, the fish was cooked perfectly as with the squid. The shrimp, however, was a touch soft and didn't have much of a snap to it. The celery and snap peas were good though, vibrant and crunchy. For our last dish, we had something familiar with a twist. Normally, fried pork chops are accompanied by some sweet and sour sauce. This version was the Pork Chops in Lemon Sauce. Unfortunately, this dish was a fail. First of all, the pork was not tenderized properly, so it was dry and mealy. Secondly, the batter didn't adhere properly and ended up clumping up becoming gummy. Lastly, the sauce had no impact. It was more floral than anything. No zing or zip. Somewhat surprisingly, we were not presented with the standard sweet red bean soup. 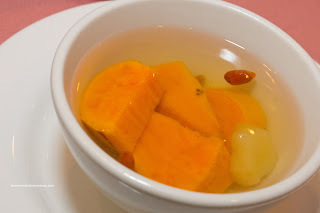 Rather, we got a Sweet Yam & Ginger Soup with wolfberries. Don't get me wrong here, it wasn't anything mind-blowing, but it was at the very least different and was a much needed counterbalance to the salt content of the entire meal. 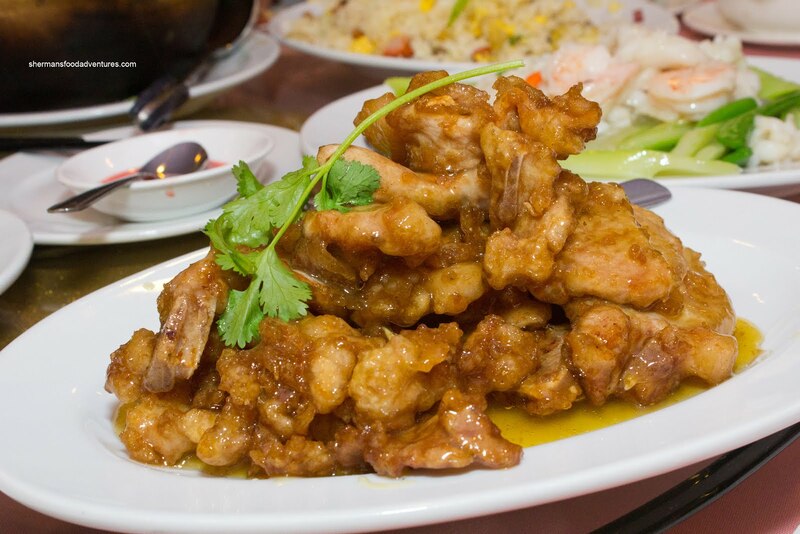 As you can clearly ascertain, the saltiness of our dinner left a bad taste in our mouths - literally. I was wantin g a Super Big Gulp so badly while we were eating! Now I wouldn't classify the food as horrible, yet it was certainly not appealing either. I suppose this would be the type of place for those wanting decent value and don't mind a ton of MSG and salt. For us, it was more of a been there done that, not interested in coming back type of experience. 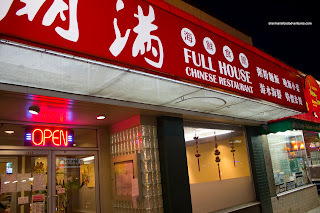 We live a stone's throw from this place, as you know Sherman, and this location has always been a hit & miss (mostly miss) with its Chinese resto incarnations. Could be the local demographics who like you say don't mind this type of Canto-Shanghai-Szechuan melting pot of cuisines (with lots of MSG to boot). But the rest of us know better. Of course it only goes to remind me of how much Shanghai Village is missed. @LR Yah, I'm not sure what the reason is. But I know that the salt and MSG content were both off the charts.